This Japanese compilation contains seven tracks each by The Stanley Brothers and Don Reno & Red Smiley. 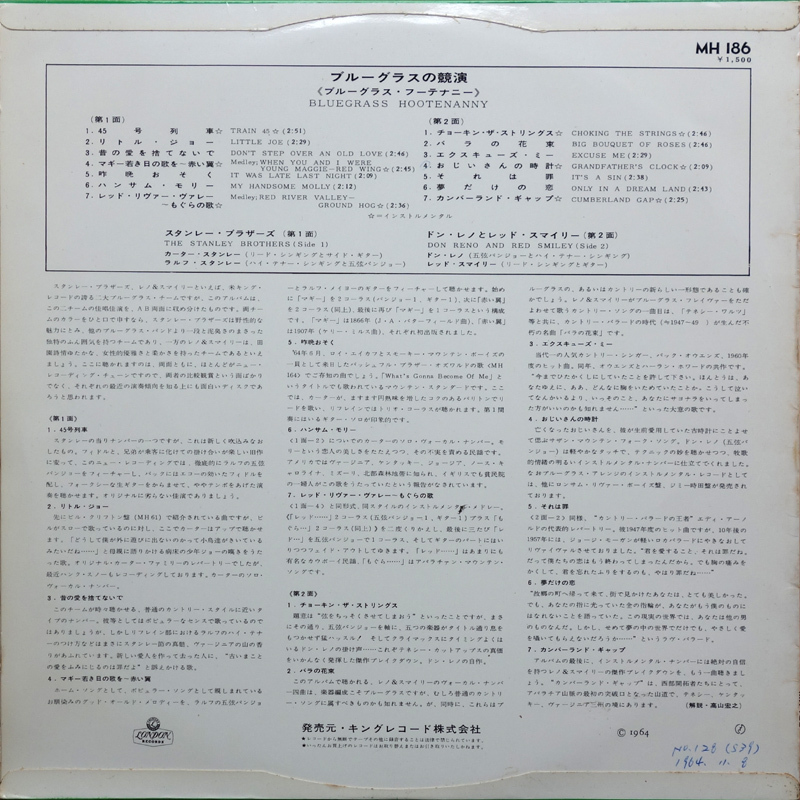 It came with an LP sized insert with English lyrics. 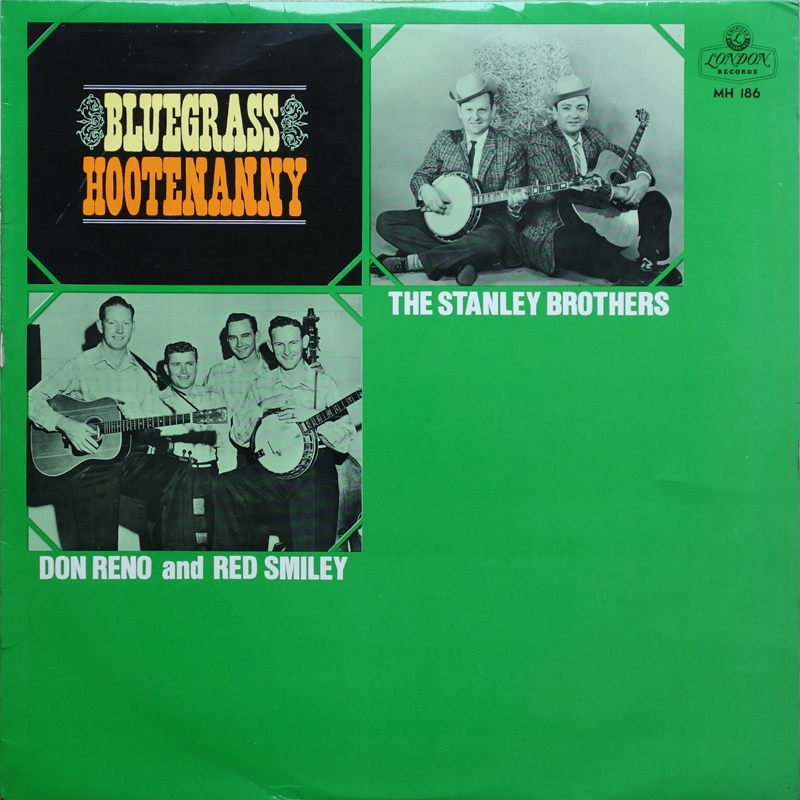 All of the Stanley's numbers can be found on The Early Starday/King Years, 1958-1961 and The King Years, 1961-1965 4xCD sets, whilst the majority of the Don Reno & Red Smiley tracks are on the Reno & Smiley - 'Reno & Smiley & The Tennessee Cut-ups 1959-1963' (Gusto GT7-2209-2) and 'Early Years 1951-1959 Collector's Box Set' (Gusto GT7-0959-2) 4xCD sets. 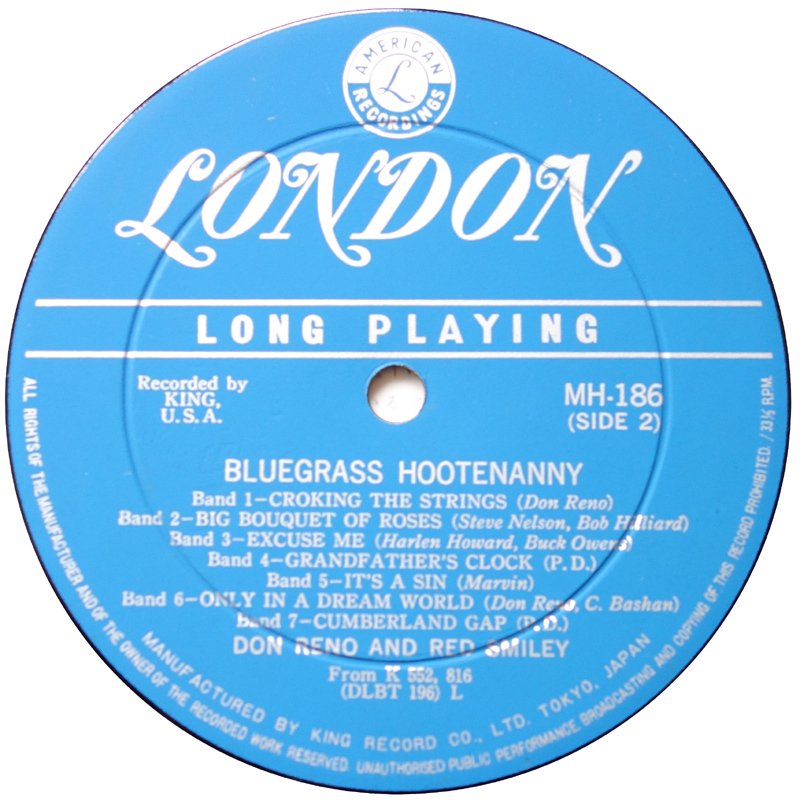 Two of the tracks from the 1962 'Another Day With...' album, Big Bouquet Of Roses and It's A Sin however don't appear to have been reissued on the Gusto retrospective. 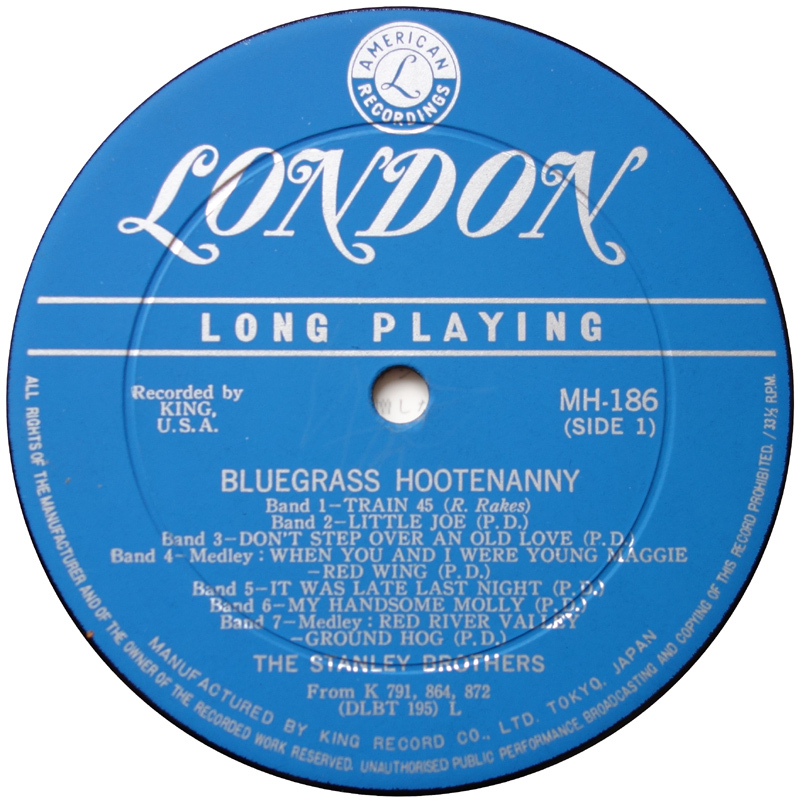 For detailed information on the Stanley's songs / sessions, check Gary B. Reid's The Music Of The Stanley Brothers book. See the original entries for details.